Justin Bieber has inked a lion’s head onto his pecs, next to his intricate tattoo of a bear. He showed off his new artwork as he relaxed before heading off on the next leg of his tour. Some fans complimented him on his new tattoo, others couldn’t help but notice he had appeared to have been watching cult film Sausage Party. 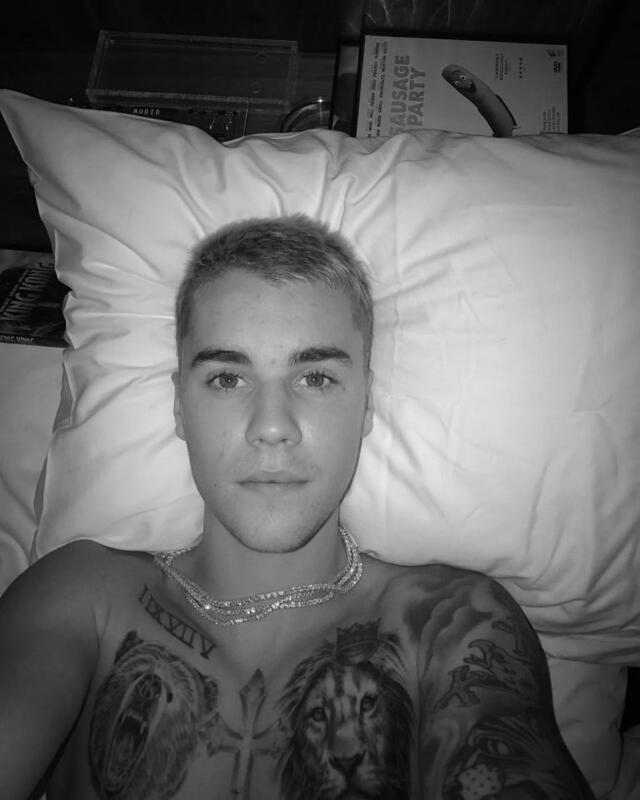 In the casual selfie, a shirtless Biebs reclines in bed—and gives fans a good look at this latest feline addition to his extensive collection. It joins the freshly-inked roaring bear on the other side of his chest, as well as a spread-winged eagle across his abdomen. He showed off both of those animals just last week, when the lion was still not part of the picture. The slightly-askew crown that looks to top the lion’s mane has been a longstanding piece of ink, however. I love you so much Justin and I’ve watched you since I was three years old. I just love you and wish that you would go on a tour to Huntsville Alabama since I missed all of you’re other tours sadly.